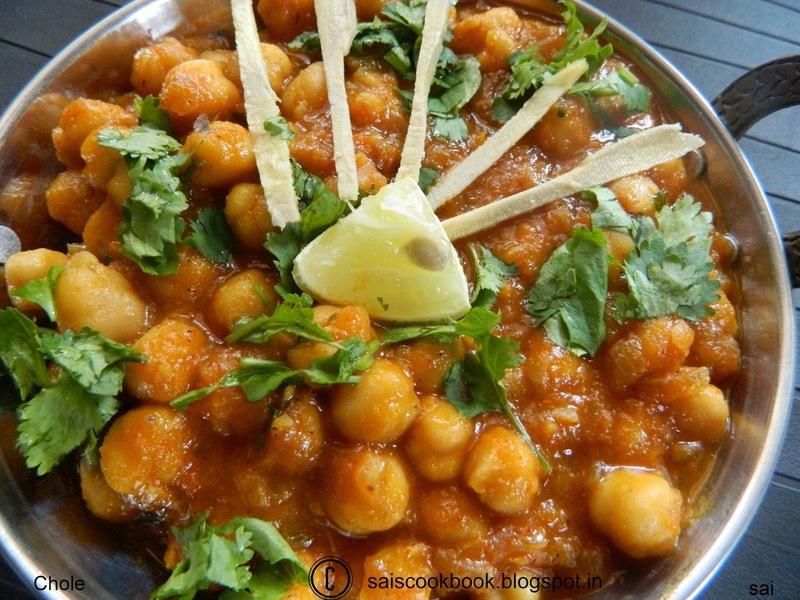 Chole is a popular North Indian dish or a Punjabi delicacy famous all over the world.It is mostly served with Bhatura.If it is served as a breakfast,it will be a heavy breakfast and is mostly accompanied with a glass of Lassi. I prepared Chole bhatura for brunch this Sunday.I had this recipe in my folder which I had prepared long back,so I’m not sure whether its my own recipe or borrowed,but believe me it tastes awesome. 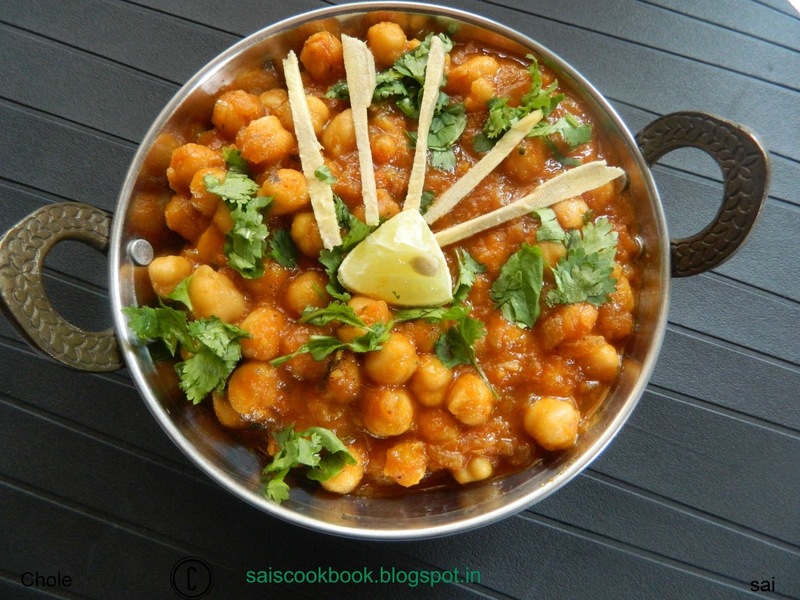 Chole bhature has always been my childhood favourite dish.This dish can be savoured for lunch,evening snacks or even for the dinner.There are many versions to prepare this dish and I have tried many recipes like Amritsari chole,Punjabi chole,Pindi chole etc.This dish is indeed a Bhalle bhalle dish. Soak the chana overnight or for 8-9 hours and cook it in cooker for 3-4 whistles and simmer it for 30 minutes or until done. Once the pressure releases add salt to taste and 2 cardamom and take a boil and keep it aside. Heat ghee in a pan and fry chopped onions until translucent. Add onion paste and fry for 7-8 minutes. 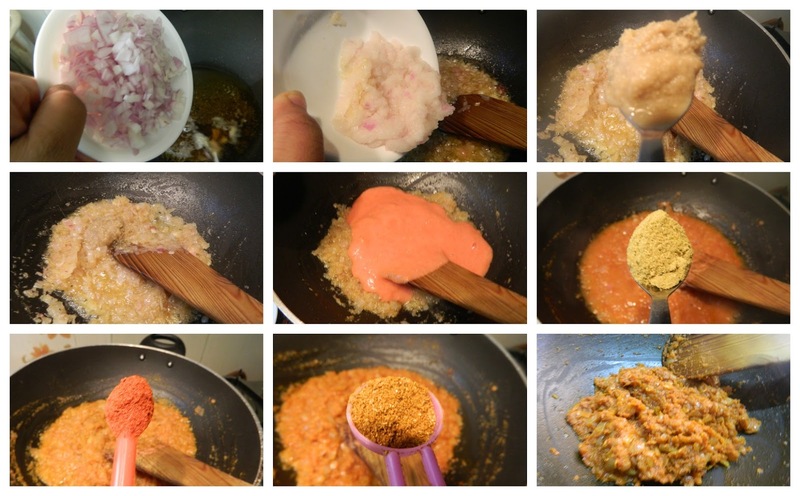 Add tomato puree and add the powders one by one and fry in simmer until the raw smell disappears. Add cooked chana and take a boil and keep it simmer for 5-8 minutes. Lastly add crushed kasuri methi and off the flame. Serve the gravy garnished with chopped onions and lemon wedge with hot batura. This looks delicious and I have all the ingredients! I’ll try this one of these days.